W. Marek Construction are Builders specializing in new homes, additions, remodeling and insurance repairs. Walter Jr. started the company over 40 years ago, with a philosophy of caring for the client's project, as if it were his own. This tradition is still carried on today, by this son Walter III. 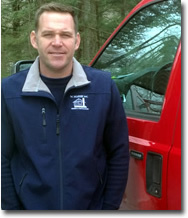 W. Marek Construction has been known for over 40 years throughout Hampshire County, Hampden County, and all of Western Massachusetts, for Customer Service, quality and value. Contact W. Marek Construction today. We look forward to working with you.